Ball-topped supports are made from 0.59” (1.5 cm) steel tubing. 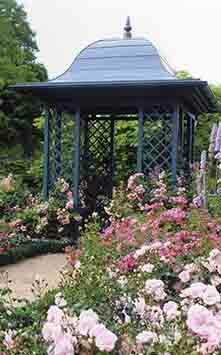 The lily-topped supports are made from 0.59” (1.5 cm) steel profile tubing. Both are hot-dip galvanized and powder coated in black. 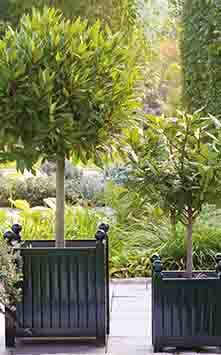 The decorative tops – balls and Bourbon lilies – are made of massive cast iron. They come in two colors: black and ‘gold’. Other colors available. 10 years guarantee against weather related rust. 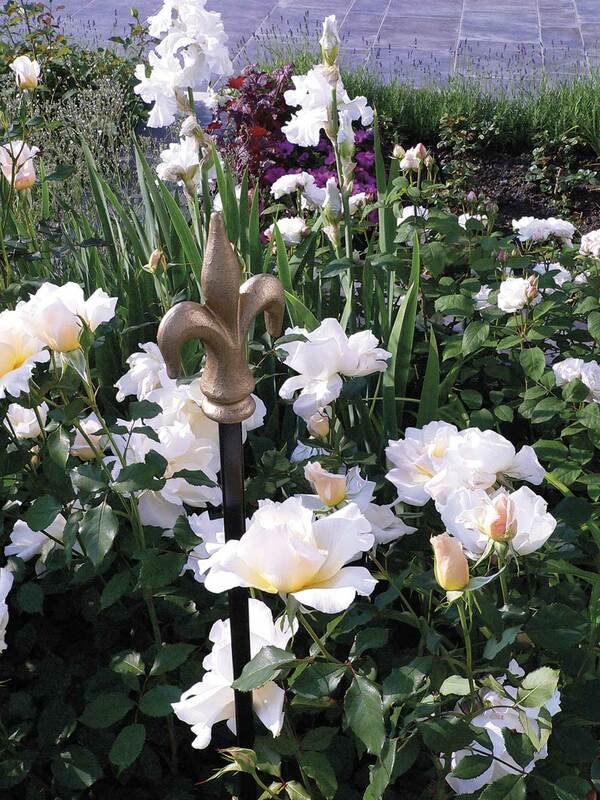 Classic Garden Elements supports are a true companion for standard roses, perennials, lilies and many other plants. 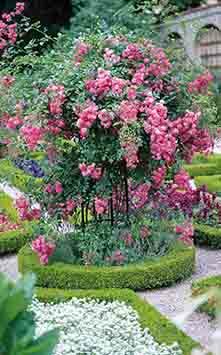 They provide stability for rose stems in difficult soil and in every weather. 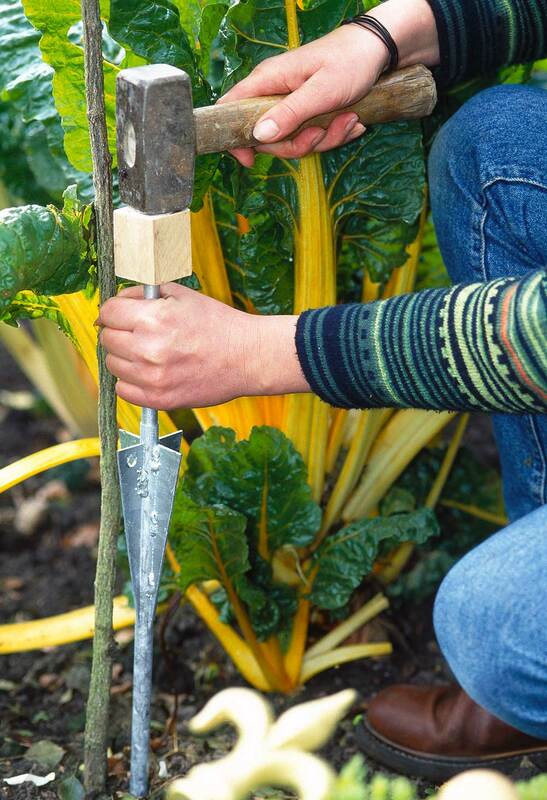 Thanks to their ingeniously simple anchoring system, these plant supports maintain their original posture over the years. The installation of the supports is straightforward. 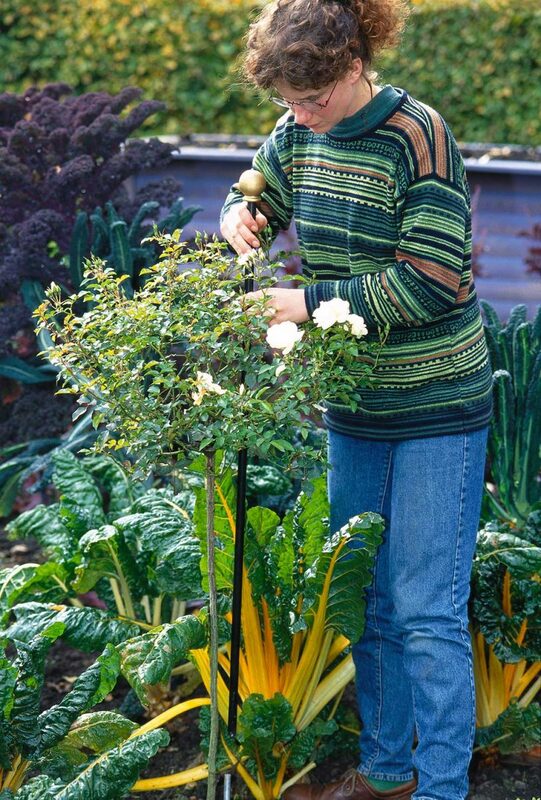 Begin by inserting the anchor into the ground in the position you have chosen. The four-wing design of the 40 cm-long, hot-dip galvanized steel case ensures a high degree of stability. Next, fix the plant support on the anchor. It is important that the metal support faces the wind, usually westwards. 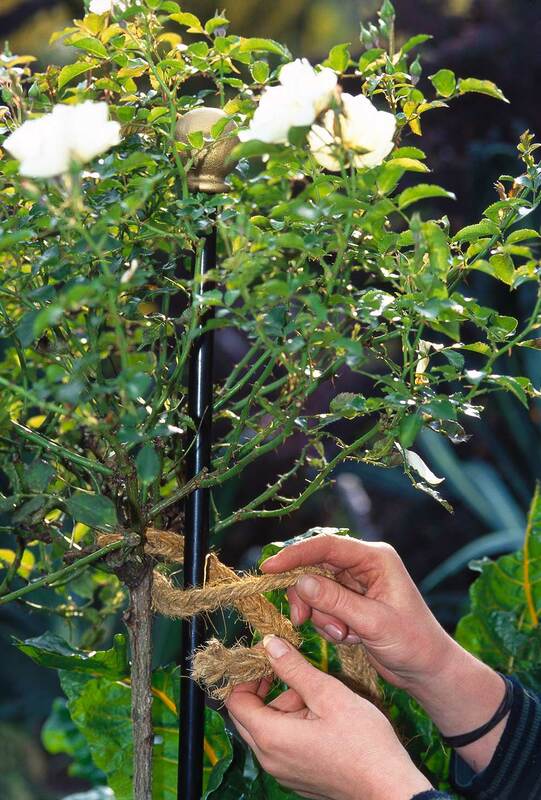 In a final step, bind the rose stem to the support, beneath the grafting point, using bast fibre or a sturdy piece of string. 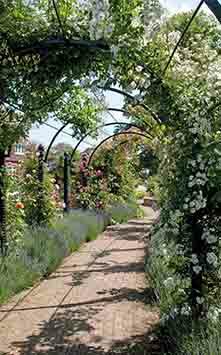 Designed 20 years ago, our Classic Garden Elements plant support anchoring system has stood the test of time, however extreme the weather conditions. Even in the sandy soil of the North Sea islands off the coast of Germany, our supports have withstood high-speed hurricane winds. 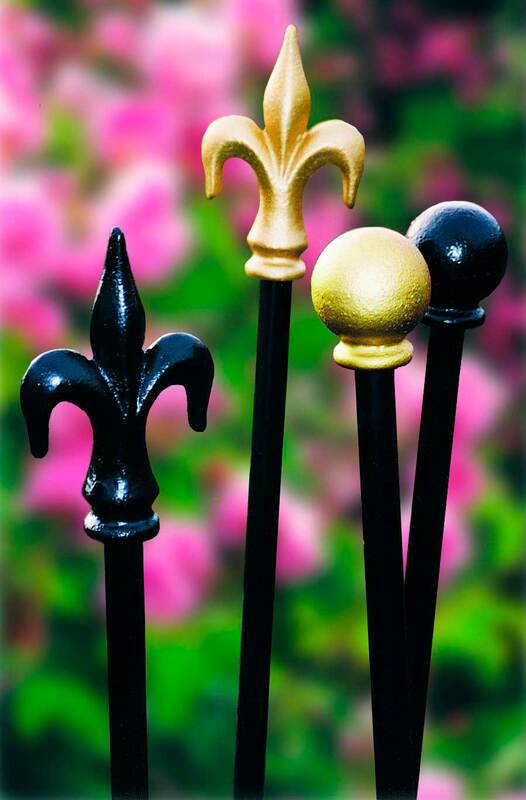 Ball-topped supports are made of 1.5-cm steel tubing, lily-topped supports of 1.5-cm steel profile tubing. 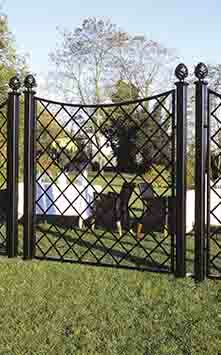 Both are hot-dip galvanized and powder coated in black. The decorative tops – balls and Bourbon lilies – are made of massive cast iron. The supports come with the 40 cm-long, hot-dip galvanized anchors, which guarantee maximum stability. Sold in packs of two. Listed prices per pack.